Partial and full highlights are a great way of adding a touch of color to your hair. Adding highlights can completely transform your style and may be able to revitalize any hairstyle or haircut. Once you commit to the idea of highlights, you will need to decide on partial vs full highlights. We will try to clarify the difference between partial and full highlights so that you will feel more confident about which style to pick. The main difference between partial and full highlights is the amount of your hair that they cover. With full highlights, you hairstylist will seek to add highlights throughout your hair. On the other hand, if you choose to have partial highlights added to your hair, the stylist will only add highlights in certain sections of your hair. The areas where the stylist will add the highlights will depend on the look that you are trying to achieve. They may only be added to the top layer of your hair, or they may be added to the front sections. With partial highlights, the possibilities are endless. If you are short on cash, you will be pleased to know that one of the partial vs full highlights difference is the price. Partial highlights are normally less expensive than full highlights because less work and fewer materials are required. On the hand, full highlights might be better value for money. Full highlights can be used to give a more dramatic effect to the hair than partial highlights do. Because a lot of the base hair color can still be seen through partial highlights, the effects tend to be more subtle. However, full highlights can dramatically change the overall color of the hair and help to give it the appearance of texture. If you do want a subtle look from a full highlight style your hairstylist should be able to arrange this for you. Partial highlights are considered to be a low maintenance option compared to full highlights. In terms of maintenance, the key difference between partial and full highlights is that it is less obvious when your dye starts to grow out if you only have partial highlights. Because full highlights are more intense, they need to be retouched more frequently. Your hairstylist will use the same process to dye your hair, regardless of whether you choose to have full highlights or partial highlights. The most common method of doing any type of highlights is to use foils and a color-paste brush to get color in the right areas. Although it is the same process, full highlights will normally take much longer to complete than partial highlights. This is because full highlights must be applied to more sections of the hair. Your stylist should also take more time to carefully apply the correct color highlights to the right sections of the hair. This will help to create the perfect look for you. It’s really fun playing around with different highlights on different hair colors. 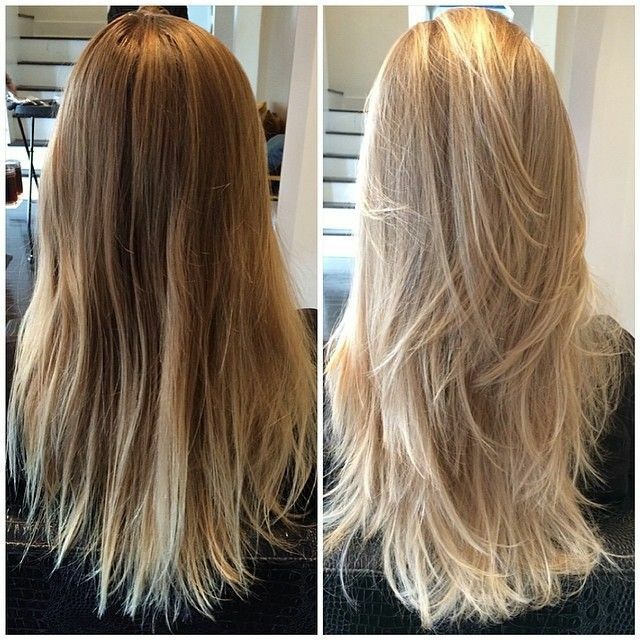 Both the partial and full highlights on hair can completely change your look. The thing is: you need to look good no matter it’s partially highlighted or fully highlighted! Coconut Oil Helps You Grow Healthy Hair – Fact or Myth?